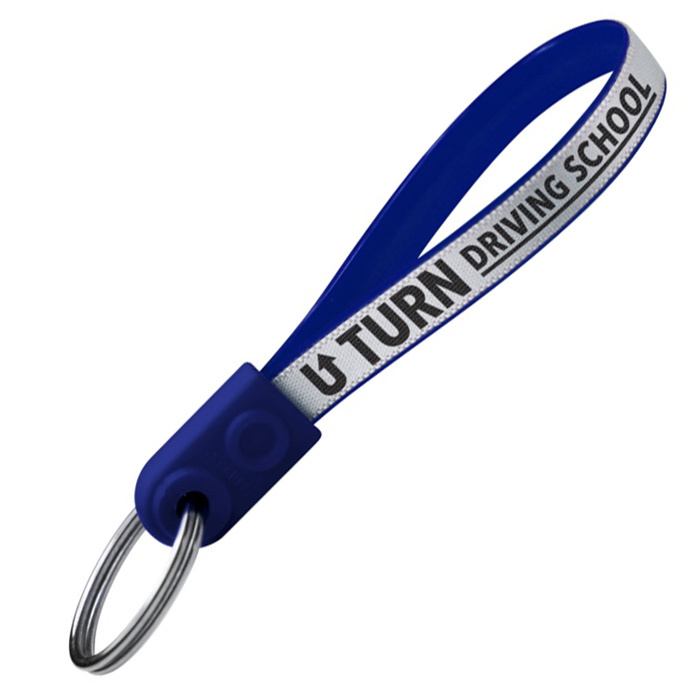 Popular Loop Keyrings in a wide range of colours! Printed adloops are a great giveaway for conferences, trade show and exhibitions - making them a key component for your next campaign. Range of coloured plastic loops available - your logo is printed onto the white, yellow or orange ribbon that is encapsulated inside the keyring. Fluorescent ribbon, belt clips and sequential numbering to give each keyring its own unique number available, please call for prices. Great benefit - plastic keyrings don't scratch car doors or paintwork. Larger and smaller adloops also available. Price includes a 1 colour print in 1 position to the outside of the ribbon. Print area: 120 x 7mm.